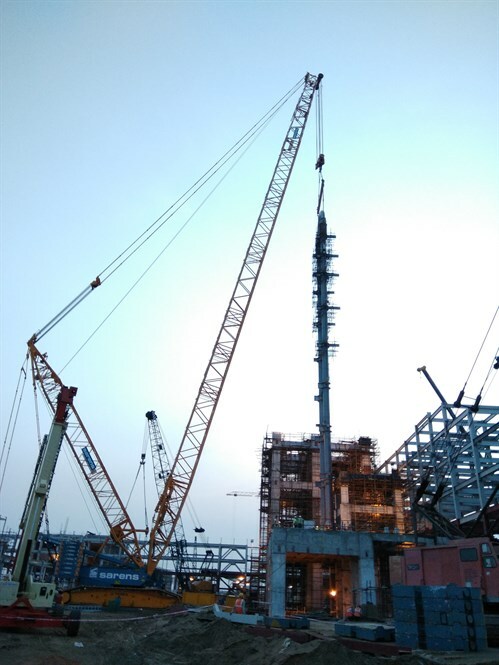 Sarens has used a Demag CC2800-1 crane to lift eight loop reactors at the Indian Oil Corporation Limited plant in Odisha, India, for FabTech Projects. Sarens' lifting supervisor visited the site to discuss the feasibility and engineering considerations of lifting eight loop reactors within a three-month timeframe. Based on careful load calculations, Sarens engineers determined that the CC2800-1 crane would be ideal for the job. 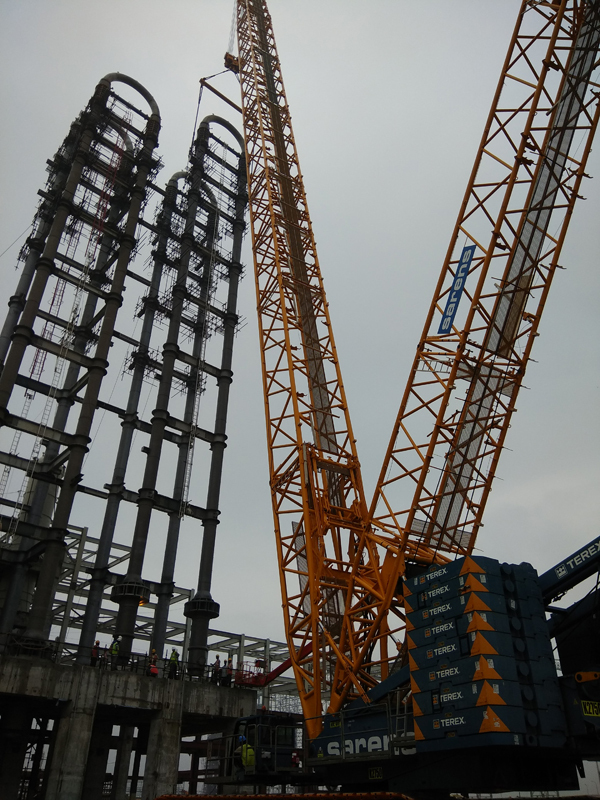 The 600t crane was set up in SSL/LSL configuration, with a main boom of 90m. The crane was transported to the job site within three weeks, and the team spent one week assembling it once it arrived. One engineer, two operators, and four riggers worked together to lift the loop reactors, which weighed 120t, measured 53.7m high, and had a radius of 22m. The team slewed the CC2800-1 90° to the location with 1-2m crawling as needed.